All year this year, we’ve worked on a ton of different things in our house to make it more energy efficient. From tiny things that take 3 minutes to change to major projects – all of them have increased the efficiency (and decreased our electric bill!) I know a lot of you have had questions about what to do, what not to worry about – and so I took the time to sit down with an energy expert from Trane to get an expert opinion on what works and what doesn’t. I was really shocked to see what changes we can make in our home to make the biggest impact when it comes to energy efficiency – plus what didn’t really matter at all. 1) Replacing our HVAC system. The Trane Comfort Specialist was a wealth of knowledge about all sorts of things, but HVAC is really his specialty, so I learned a LOT about this one in particular. Did you know that if you replace a system that’s over 10 years old you could save up to 70% on your heating/cooling costs – which can save you a total of 35% on your electric bill (because half of your bill is heating/cooling.) How? A new unit can save 20-32% because they have better energy ratings versus a unit that’s 10 years old. New EPA regulations make units more and more efficient every year. A newer, more energy efficient system with variable speed technology makes your unit work smarter, not harder, saving you even more money. Investing in a programmable thermostat can help to regulate your temperature even when you’re not home. This alone can save you an additional 10% on your heating/cooling costs. I know that sounds bogus – but last December we installed a new HVAC unit – and our electricity bill went down on average $200 per month for the last two months. Our $5000 investment will be recouped in only 26 months – that’s just over 2 years. After that, it’s basically putting money in our pocket! 2) Maintaining our HVAC system properly. This one should be a no-brainer – but I know I’m not the only person out there who forgets to change the filter on my system. So to keep up with it, I set a reminder in my phone. And I learned not to pay attention to the time recommended on the package – you really need to check the filter once a week until you see when it needs to be changed for YOUR home. Pets, type of home, location (country vs. city) – there are tons of factors that affect how often you need to change it. When you forget to do it, it makes your unit work harder, which reduces your savings. I know filters are expensive, but it’s nothing compared to the money you are losing by making your HVAC unit work harder. See how mine is all yucky and bowed in? That’s because mine needed changed BADLY! Don’t be me. 4) Change to energy efficient light bulbs. Old incandescent bulbs have an average energy cost (according to energy.gov) of $4.80 per year per bulb. LED bulbs cost $1.00 per year. That doesn’t sound like much, until you multiply it by the amount of bulbs in your house. I have 20 bulbs in my house – and so the savings on energy alone would be $76 per year for me. But it doesn’t really take into consideration the price of the bulbs – the LED bulbs cost about $10 each, where the old incandescent bulbs average $1 each. LED bulbs last about 10 years though, versus the average life of an incandescent bulb is only about 6 months at my house. That’s a pretty significant savings – enough so that we made the change this year. 5) My windows really don’t matter. I was really afraid he was going to frown on my wood pane windows. Like really worried. Imagine my surprise when he told me that if maintained properly, the TVA said that the cost of new windows would never be recovered in energy savings. Say what? YEP! My $10 windows that are properly sealed were no big deal. WHEW! I know it may not seem like the most fun, but I actually spent two hours asking him questions and learning so much about the Trane systems that I was honestly amazed at all of their knowledge. I also learned about a their partnership with St. Jude for the local St. Jude Dream Home Giveaway in Nashville. St. Jude is a charity that is so near and dear to me, especially after my friend’s son has been receiving treatment there for the last two years. They raffle off a house every year, with the proceeds from the ticket sales going to benefit the hospital. 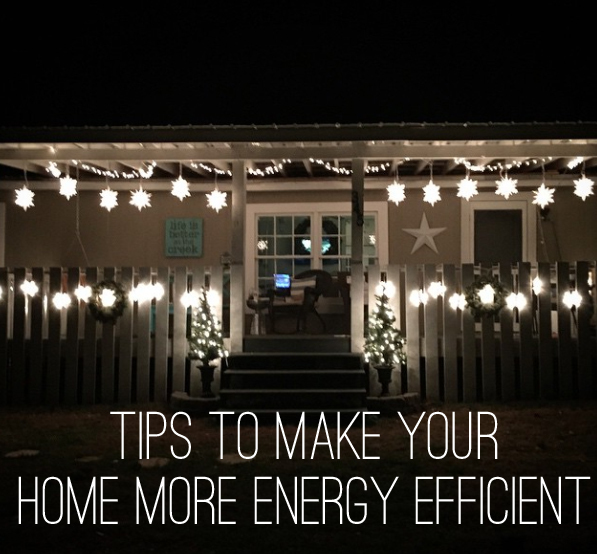 If reducing your bills and getting more energy efficient is on your 2015 to-do list – these tips are definitely things I would highly recommend. I personally have seen so much in savings this year, it makes me want to work harder to bring down those bills even more! 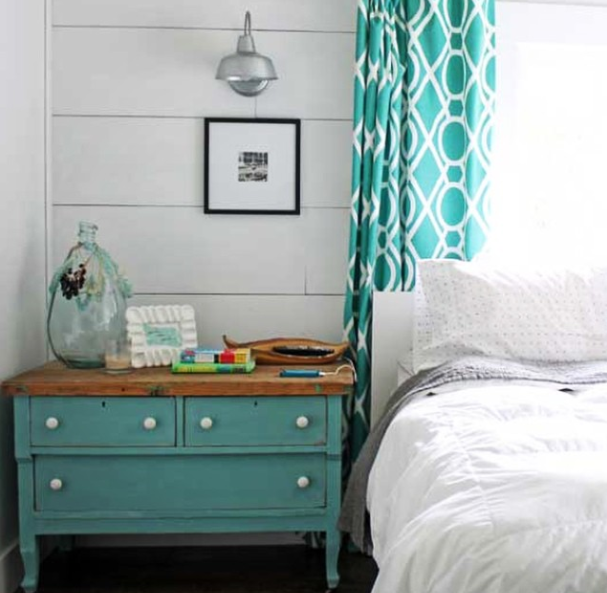 I have had a couple of kinds of flooring in my home so far and would actually like to try the pine boards, even thought about this before I saw you did it. How have your floors held up in the 3 years since you’ve done this? My house flooded last week due to my water heater busting and need new floors soon. 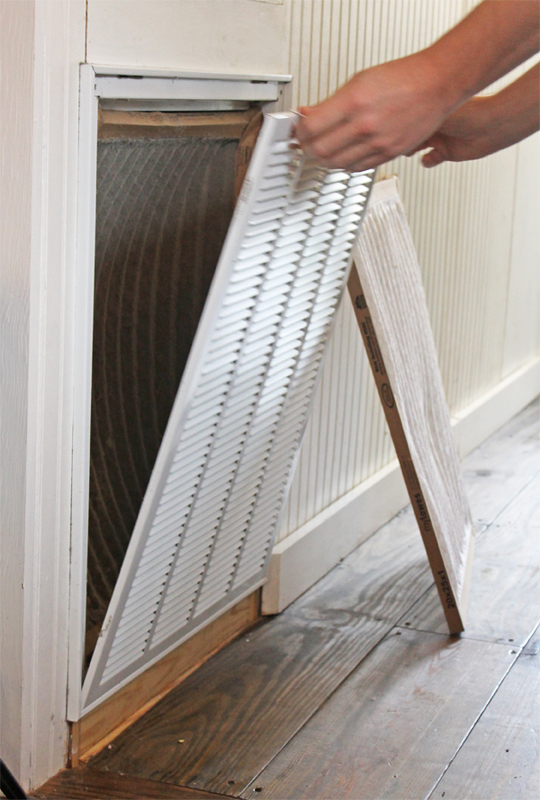 Replacing your AC and heating units are indeed a great way to save on gas and electricity. You will be spending less, and they should work better! Also regular maintenance will also be better in the long run.